Saudi Arabia's King Salman has approved a plan to ease levies that businesses face when hiring foreign workers as Riyadh pushes for the modernisation of the kingdom's economy. According to a Saudi royal decree, the kingdom will spend $3.1bn (11.5bn riyals) to compensate private-sector enterprises for the services of foreign specialists working in key sectors of the nation's economy. 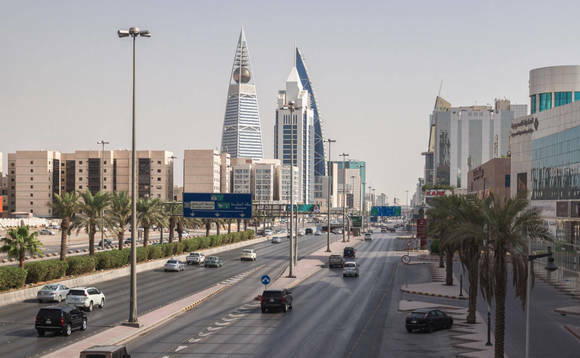 The move comes after several companies struggled to pay for expat work permits in the 2017-2018 fiscal year, as observed by the Saudi Ministry of Labour and Social Development. Authorities will exempt some companies from paying the 2018 fees or reimburse those that have already paid, according to the official-Saudi Press Agency. To qualify for the aid, businesses must show that they have taken steps towards hiring more Saudi nationals. This initiative will support private sector companies, help them overcome the obstacles and achieve their goals and encourage them to expand employment of Saudi citizens"
"This initiative will support private sector companies, help them overcome the obstacles and achieve their goals and encourage them to expand employment of Saudi citizens," Labour Minister Ahmed bin Suleiman al-Rajhi tweeted. The fees were introduced in 2018 as part of a drive to increase non-oil government revenue, a key goal of Crown Prince Mohammed bin Salman's economic transformation plan, but have caused problems for business owners in a country accustomed to cheap foreign labor. Saudi business owners are having difficulty getting locals, accustomed to undemanding work in the state sector and generous unemployment benefits, to work for them. In Saudi, public employees work around 35 hours each week, take two days off each week and enjoy generous health and pension provisions. That contrasts with a 48-hour week in the private sector, only one day off each week and no automatic national or religious holidays. The push by Saudi Crown Prince to create more jobs for Saudis has further backfired as expatriate workers are leaving the kingdom, hitting the already-struggling economy without making much of a dent in Saudi unemployment.